Are you looking for opportunities in photography industries to learn and earn money? Well, today might just be your lucky day. Petruzzo Photography is looking for reliable, creative, and good-natured people to work with us, and our clients, to create beautiful images and interesting experiences across the board. With the upcoming holiday season, we’re looking for 5 or 6 people who are interested in being photo assistants on all kinds of different sessions, including weddings, corporate headshots, family portraits, engagement sessions and more. Professional photography is not for the faint of heart though, and what we do here is not just a hobby. So, lets take a moment to talk about what we’re looking for here, so you can determine if you, or someone you know, might make a good candidate. In its simplest form, all you have to do to make a good photo assistant is follow instructions as they are given, and carry equipment from place to place. As a photo assistant, it is critical that you are able to focus and stay on task, as well as pay attention to what’s happening in the shoot. Assistants with some photography experience will almost always get preference because the better you can anticipate the needs of the photographer, the more smoothly a session can move. That been said, experience is not a requirement, we’re always happy to show you the ropes. Photo assisting work is a great way to earn extra money and have some interesting experiences. But, if you’re interested in photography or perhaps pursuing a career there, it’s a very productive way to get some of that kind of experience, too! 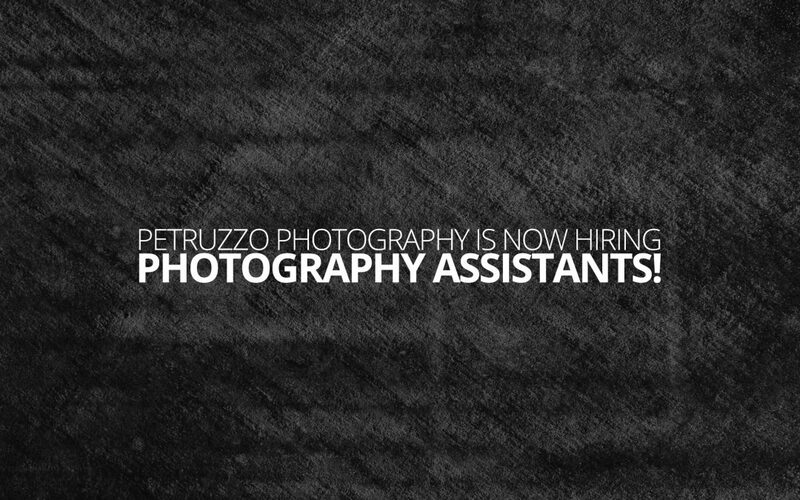 Photo assistants who demonstrate an aptitude for photography and the sort of work we do might be ‘adopted’, and offered opportunities to develop their skills as photographers with the help of Petruzzo Photography’s resources. Photo assistants are paid a probationary rate of $15 per hour until they have assisted on a minimum of three separate sessions, at which point the rate increases substantially.